ON 2.19.2007, MONDAY THE GATE KEYS TO THE GSK BUILDING; CLIENTS FIRST REALTY, LLC CORPORATE OFFICE WAS CHANGED IN A EFFORT TO CONTINUE MONITORING AND MAINTAINING SECURITY FOR EVENING AND WEEKEND HOURS. PLEASE COME BY THE OFFICE DURING NORMAL OFFICE HOURS TO GET YOUR NEW GATE KEY. YOU CAN THROW THE OLD GATE KEY AWAY. IT WILL NO LONGER WORK. HOWEVER, YOUR OFFICE KEY IS STILL GOOOOOOOOOD. $100.00 THANK YOU FROM CFR. THIS IS GOING TO BE A GREAT YEAR IN REAL ESTATE !!! THINGS THAT WE NEED TO PAY ATTENTION TOO !!! We do not like imposing fines on our agents due to paperwork and time violations but Arizona Department of Real Estate and the Arizona Revised Statutes hold the Company responsible for the actions or lack of actions of all agents licensed under the 'Employing Broker'. ADRE and the State of Arizona has a zero tolerance policy when it comes to these issues, so we must ask that you make every effort to adhere to the requirements set on all of us. As transaction generated paperwork increases so must your timely compliance with the statutes, codes and rules governing our real estate industry. Your cooperation and consideration concerning these items will be greatly appreciated. 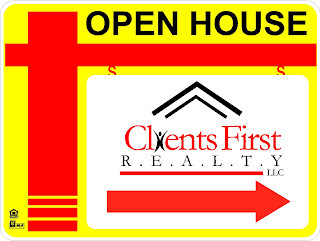 If you have a listing and are using CFR generic yard signs, be sure to add a rider with your name and phone number. Had several calls at the office this weekend about listings, from individuals driving around without a realtor, wanting information about the property. Normally we are in and out on the weekends and do not live answer the phones. Most people will not leave a message. Riders are cheaper than lost business opportunities. The Arizona Department of Real Estate Rules and Regulations require that each licensed Designated Real Estate Broker keep records of all real estate transactions handled by or through the Broker as well as establish a system to ensure all documents are turned into the Broker in a timely manner. The records shall be open at all reasonable times for inspection by the commissioner or his/her representatives. The Broker shall keep the records of each transaction for a period of at least five years (withdrawn or rejected—1 year) from the date of termination of the transaction. Access to the Broker’s files must be arranged through the Broker’s office. Removal of any file from the Broker’s office may lead to termination. Arizona Revised Statute 32-2151.01 states that the Broker will review and initial all documents within 5 calendar days of the date of execution. It is, therefore, the agent’s responsibility to see that the Company is given all executed contracts, counter offers and addenda within 5 days of the last signature date, including MLS printouts and any changes. Associates will also be responsible for ensuring all relevant documents concerning a transaction are placed in the file. Once a sale is closed, the complete file with all required paperwork, including the Settlement Statement from escrow, the disbursements to and from both sides of the transaction, all correspondence, inspections, contingency waivers, and related information shall be delivered to the Associate’s Support Staff for final sign off of completion in the Broker file. Associates who fail to turn in their documents in a timely manner as required by the Arizona Department of Real Estate will be subject to Clients First Realty, LLC Late Paperwork Policy. 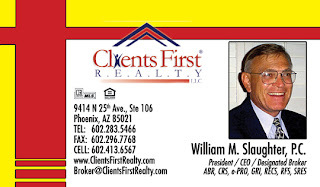 It is the policy of Clients First Realty, LLC and the Broker that, whenever possible, the most current Arizona Association of REALTORS® (AAR) and Arizona Regional Multiple Listing Service (ARMLS) forms will be used in all transactions. These forms are available through the local Associations, through each office, and some forms are available on line at the ARMLS or AAR website. The Broker also directs agent to obtain the Broker’s approval (prior to use) in the event any non-approved form is used. Contracts and related forms are updated from time-to-time. It is the policy of this Company and the Broker to use only the most current version. The responsibility for the use of any form is the sole obligation of the agent. Clauses that are not specifically approved for use in contracts by the Broker are not permitted. Various resources of previously approved contract clauses are on file in the Broker’s office. Where there are blank lines or boxes in the contracts or forms draw a line through that box or blank line. It shall be the Policy of Clients First Realty, LLC to require a substantially complete "Seller’s Property Disclosure Statement" (SPDS) in all transactions. An agent shall not complete the form for the owner / landlord. When selling the listing of another office, structure an offer in such a manner that the current AAR disclosure form shall become a condition of the buyer or tenant's offer. Should the Seller for any reason, refuse to provide a Buyer/Tenant the Disclosure Statement, the Associate shall document a diligent effort was made in order to obtain such Disclosure. Per The Arizona Department of Real Estate, CFR requires that any contracts or listings be submitted to CFR within 5 days of contract acceptance. This includes listing contracts, purchase contracts and lease agreements. CFR allows paperwork to be submitted via fax, e-mail, or hand delivery. Each CFR agent is responsible to verify that their paperwork has been received by the agency. The Company will notify all agents on the transaction VIA e-mail. Please be proactive during your transaction to ensure that you resolve any missing paperwork or broker review items early on in the transaction. We encourage commission paid direct from Title Company, as long as all paperwork is completed. If you wish to pickup your check at title, please have your paperwork finished at least 72 hours prior to Close of Escrow, so we can inform the Title Company to release your commission. 1) The Broker’s e-mail will indicate that the Company received your paperwork more than 5 days after acceptance and will require you to submit a “Late Paperwork Submission Explanation”. 2) A note will be made in your personnel and the transaction file indicating your paperwork was submitted late. 3) If an agent repeatedly submits paperwork late, the agent will be subject to termination. 1) You will receive a phone call and/or e-mail notifying you that we have received a notice of intended closing from title, and your CFR’s transaction file is incomplete. 2) If we do not receive the missing documents within 72 hours of the phone call, you will be notified (via e-mail) that you are in violation of CFR’s paperwork policy. 1) You will receive a phone call and/or e-mail notifying you that we have received a closing package and commission check. You will have 7 days to submit all required paperwork. 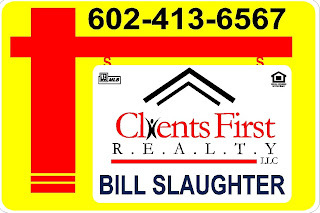 2) If we do not receive all paperwork within 7 days of the phone call, you will be notified (via e-mail) that you have been assessed a $250.00 fine and that you are in violation of Clients First Realty, LLC and the Arizona Department of Real Estate policy for submitting paperwork. You have 72 hours to contact the office regarding the missing paperwork. 3) If we still do not receive any communication from you and do not receive all paperwork within 72 hours of the e-mail, you will be notified by a final e-mail that you are being assessed an additional $250.00 fine (in addition to the 1st fine and all other transaction fees). 4) If within 15 days after the close of escrow you have still not contacted the office regarding the missing paperwork or have not submitted all required paperwork, your entire commission will be subject to forfeiture and you will be subject to termination. If you are unable to supply us with the missing paperwork, at the Broker’s discretion, you may be able to complete a “Missing Paperwork” explanation statement. The Broker will then make the sole decision if the commission will be released to the agent. As you can see from the above policy, we are very serious about our policy for submitting paperwork timely and complying with the Arizona Department of Real Estate rules. All fines can be avoided by submitting paperwork within 5 days of acceptance. Upon receipt of any contract, listing or lease agreement, the Broker shall review and e-mail the agent. It is the agent’s responsibility to comply and correct any issues that the broker addresses. The e-mail will also indicate what paperwork was received and what paperwork is still needed to complete the file. Any corrections should be addressed and then submitted to CFR as soon as possible. Please do not wait until the day before close of escrow to address any missing items or necessary corrections as it may delay commission disbursement.